Meeting families and watching them grow is truly the highlight of our job. We have had the pleasure of capturing pieces of the Davis family photo timeline for a few years now. We shot them at Christmastime before baby Grace joined the family and also did her newborn photos in their home. Now, Isaac and Grace are growing up, and it is so sweet to watch their relationship unfold. Isaac is an amazing big brother and Grace has a spunky personality complete with an adorable smile. We ended up shooting in the morning on the day of their session because of all the crazy rain we have been getting. It was a perfect session in the park with the sun shining down and not a drop of rain in sight. Grace was as happy as a baby could be during the session while Isaac loved showing off his big boy poses. We couldn’t get enough of the sibling shots. Maybe they were just putting on a show for us, but the bond this two already have is something special. As they sat on the picnic blanket, she looked up into her brother’s face with genuine adoration, and he looked back at her with eyes full of big-brother love. This girl will have a devoted protector with her wherever she goes. We especially love when grandparents can join the mix for some memory-filled photos, and I think these two had a blast spending some time playing with their grandkids while we captured it. 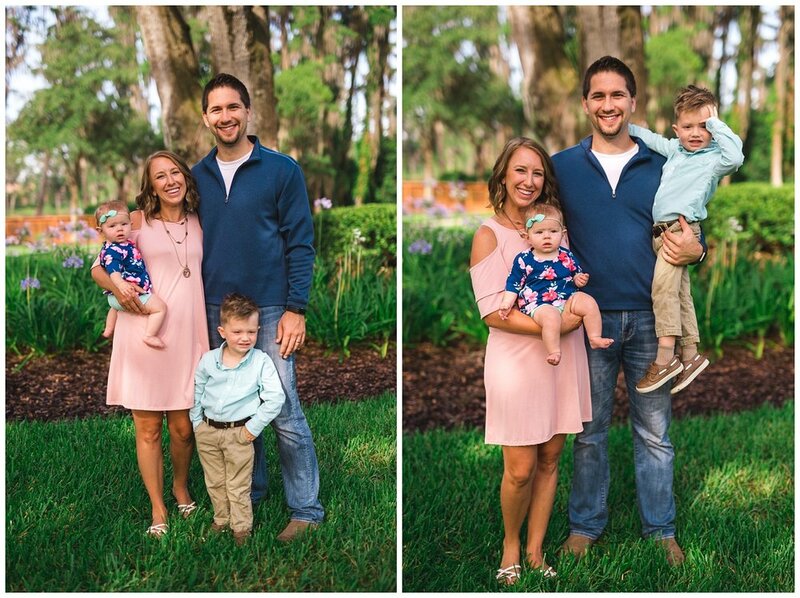 We know how important it is for families to have a variety of photos that show the dynamics of each relationship, so we made sure to get a few shots of each kid with Mom or Dad and the grandparents, too. These closeups are priceless and a little more intimate than the whole family pictures—Grace and Isaac are two very loved little kids, and it shows by the big love that they give in return.